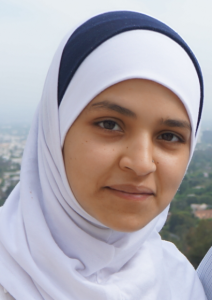 Aysha Mehdi: Coming from India at age 12, I hadn’t heard much about the Jews. I didn’t really have an opinion on them either. However, as I went on to college, I learned about the politics involving Jews and Muslims. Sadly, this was one area in which my friends agreed to be divided and stay divided. Often, I would wonder about the childhood of my friends. Years later, as an Islamic Studies teacher at the Muslim day school New Horizon School Pasadena, I came across a similar experience. As we discussed “People of the book,” a term given to Jews/Christians in the Qu’ran, and the importance of “interfaith,” working towards a bigger goal with the people of other faiths, I realized that some students couldn’t really see themselves and the Jews as a part of one community. I heard unpleasant comments from one of my brightest students. I felt like this was my moment to change the direction of the wind, so to say. This was my opportunity to be a shaper, my opportunity to help change her perspective. But how? 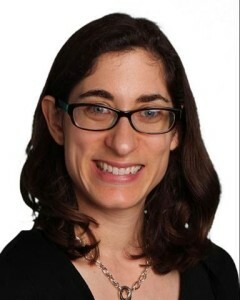 Rebecca Berger: I teach religious studies at a Jewish Day School, Sinai Akiba Academy. In 2010, I participated in a year-long fellowship with NewGround: Muslim-Jewish Partnership for Change. As part of the fellowship, fellows formed teams to create projects that would further the mission of NewGround and bring our learning to the broader Los Angeles community. My team created the idea of the Education Exchange. When we contacted New Horizon School, the Head of School connected us with Aysha. I was thrilled to discover that Aysha and I had so much in common, especially in terms of our vision for how we might use education as a tool to make our communities more tolerant and inclusive. 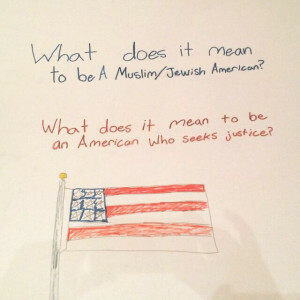 Aysha has since also participated in the NewGround fellowship.In my Jewish History class, students analyze how people have created an “us” and “them” in history, and they talk about what they can do to create a more inclusive school and society. They say all the right things when talking about groups and stereotypes, and yet I realized that my students would never really be able to see Muslims as part of an “us” unless they had the chance to get to know Muslim teens. Aysha: As Rebecca and I discussed our concerns, we found that our students were heavily influenced and shaped by media and outside influences. Just like our adults, they formed their opinions too quickly and had no problem painting an entire community with one brush. Despite the many lessons given on values such as being open-minded, fair, inclusive, and non-judgmental, it was not easy for students to internalize and implement these concepts, mostly because they rarely have any opportunity to interact in a meaningful way with people who are different from them. Most often students, like adults, tend to make friends with or hang out with like-minded people - people that share the same faith, or the same ethnic or cultural background. Rebecca: Aysha and I started the Exchange program between New Horizon School and Sinai Akiba Academy four years ago because we were concerned that our young students’ understanding of the “other” came mainly from stereotypes from the media or from what they have filtered from discussion of the Middle East conflict. Aysha: We hoped to give these students an opportunity to learn from, understand, and appreciate other students who are "very different" from them. Through the exchange we would like them to understand that, despite their faith and other differences, they are very much alike, that when they dig deep they will find that they share more things in common than it appears on the surface. And then if we dare to dig even deeper, we find that at the core, we are the same, we have the same feelings, emotions and insecurities, that we are human. Rebecca: A student approached me in the hallway just before school let out on February 25th, the day our New Horizon buddies came to visit us at Sinai Akiba. I braced myself for what would come next. Next: Read reflections from students from both schools. 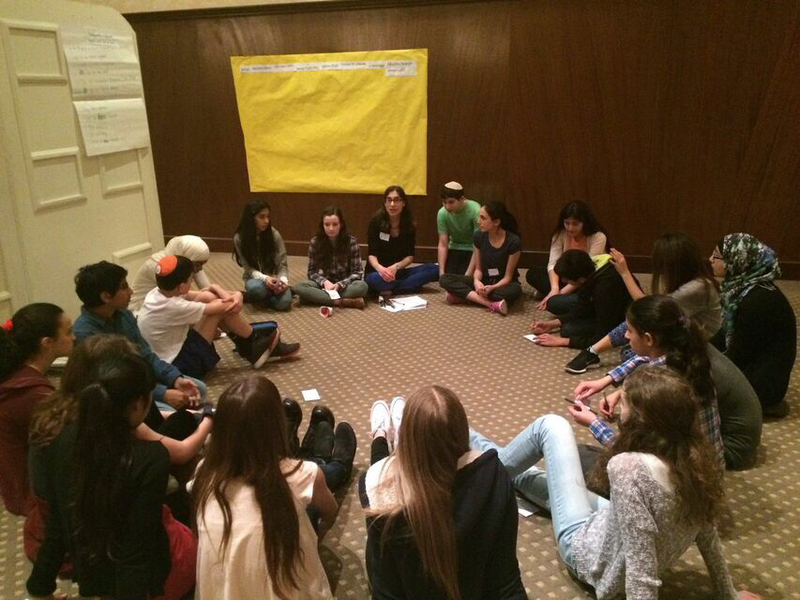 Emily Weisberg is a Jewish Education Program Associate with Facing History and Ourselves. She received her BA from American Jewish University and her Masters Degree from the University of California, Santa Barbara. Emily works with Day Schools, Congregational Schools and local organizations to help bring Facing History’s unique, impactful pedagogy and resources to teachers and students across Southern California.